Okay, so Homer describes a scenario where chariot races are occuring. And the chariot technology he describes is actually more advanced than the chariots in his own culture. This is exactly how I feel every time I read a paper or a book from the 70s or the 80s. And it’s just an amazing thing! 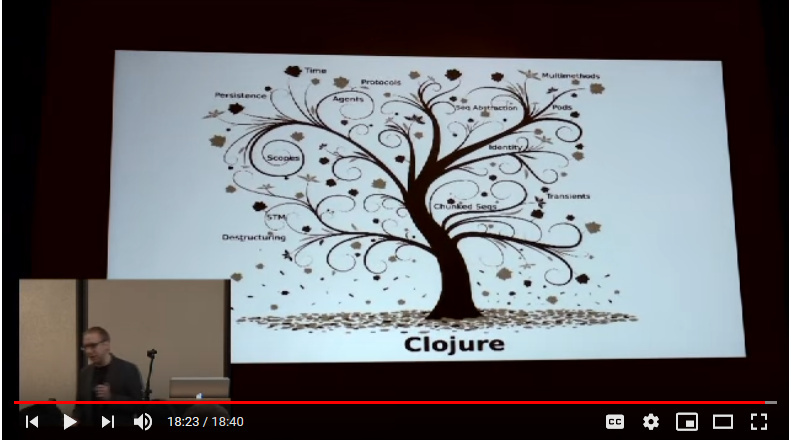 There’s so much information back there that Clojure is built upon – you could spend a lifetime reading about it, but never exhaust the wealth. His reference to all the interesting stuff of the 80s and 90s got me curious. So I figured I’d ask here! Which computer science papers from the 80s or 90s or later do you consider recommended reading? In that talk (Are we there yet?) he mention in the end the paper: Time, Clocks, and the Ordering of Events in a Distributed System.